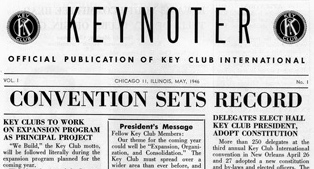 The first Key Club formed in 1925 in Sacramento, California, with 11 charter members. Key Club was the idea of two Sacramento Kiwanis Club members, Albert C. Olney and Frank C. Vincent, who also were high school administrators. They approached their Kiwanis club with the idea of starting a junior service club in the high school. It would resemble Kiwanis, have its own classifications based on school interests and hold luncheon meetings. The club was comprised of the key boys in the school, willing to serve the school in any way possible and to create better school spirit. Thus, the club was dubbed Key Club. Soon, the club that started out as a vocational guidance program expanded to become a complete service organization for the whole school. It also offered a social aspect to balance its service activities. Today, Key Club is the oldest and largest service program for high school students in the world. The first Key Club meets at Sacramento High School in California. Florida association forms, becoming the first Key Club district. Key Club movement achieves “International” designation. Delegates to the first Key Club convention formally vote to form the International Association of Key Clubs, electing Malcolm Lewis the first president. In May, the first issue of the Keynoter magazine is published, and in December, the first Key Club Week is observed. 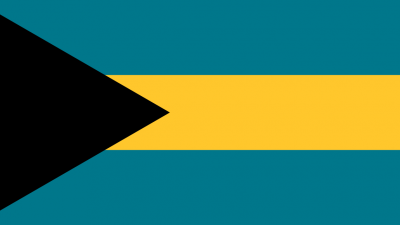 The first Key Club outside the United States and Canada is chartered in Nassau, Bahamas. Female students are admitted into Key Club. 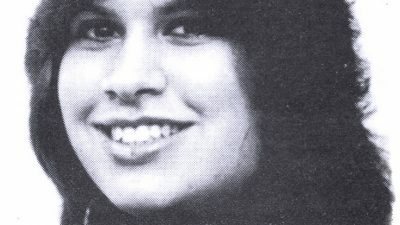 Photo of Renee Wetstein one of the first to join Ramapo High School in New York in 1977. The first three female Key Club governors are elected: Beth McClain (Kansas District), Lynne A. Fletcher O'Brien (New Jersey District) and Sue Petrisin (Michigan District). 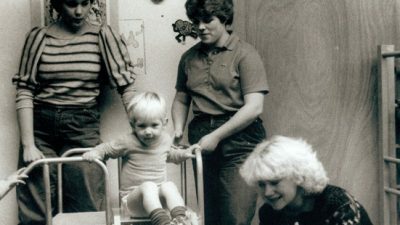 Kiwanis allows females to become members. Michelle McMillen of the Missouri-Arkansas District becomes the first female member to be elected Key Club president. 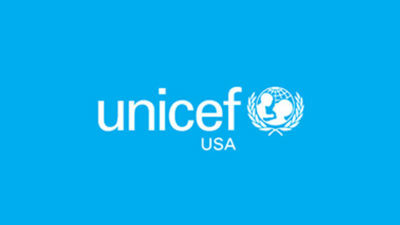 Key Clubs raise more than US$1.2 million for UNICEF to fight iodine deficiency disorders (IDD). Key Club members raise more than US$1.3 million to fight HIV/AIDS in Swaziland. 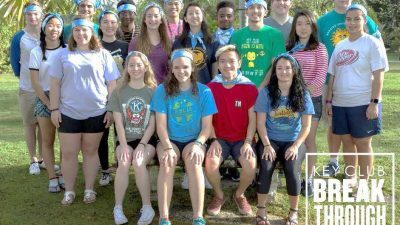 Key Club launches its first international service-immersion program: Breakthrough.